Miss Hickman has been training in martial arts for the past 17 years and takes the lead of our preschool martial arts classes. Her outside training in child care and experience working in a nursery environment together with her martial arts expertise is an asset to these programmes. 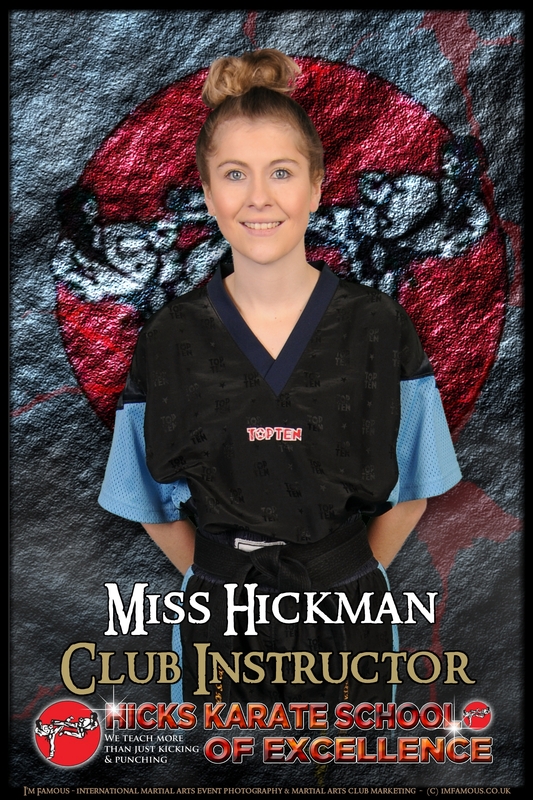 Miss Hickman also teaches our Extreme Creative Kata team and competes as part of our National team in both Creative Forms and Combat Sparring. Competing regularly around England she holds National, British and European titles.